Torch lite 33 LED. 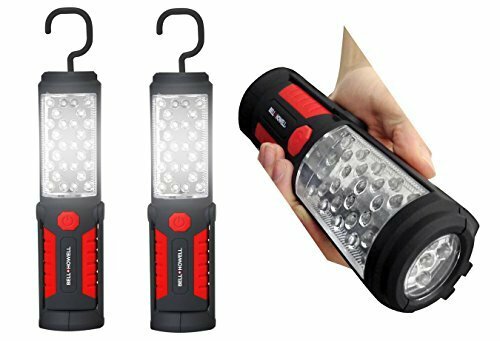 Super brite flashlight is equipped with 33 LED bulbs. 360 swivel hanging hook and magnets on the base. 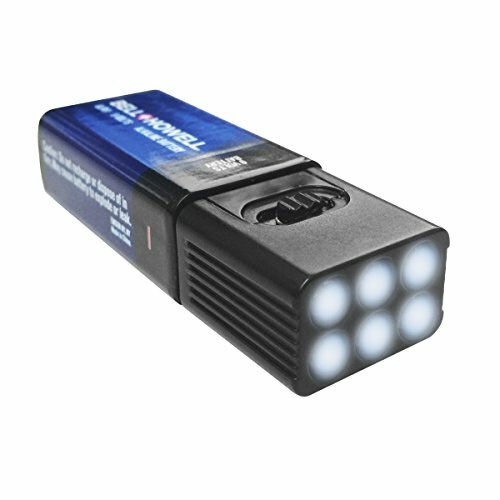 Taclight Elite As Seen on TV by Bell + Howell high-powered tactical Flashlight with 5 modes & zoom function. 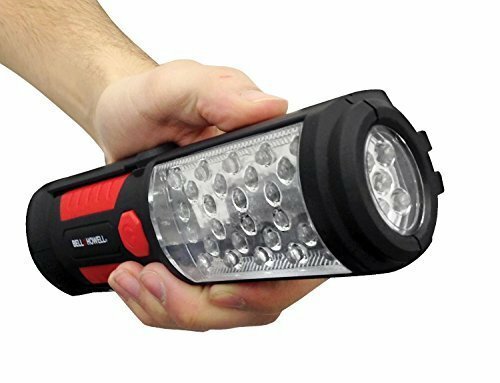 High performance flashlight! 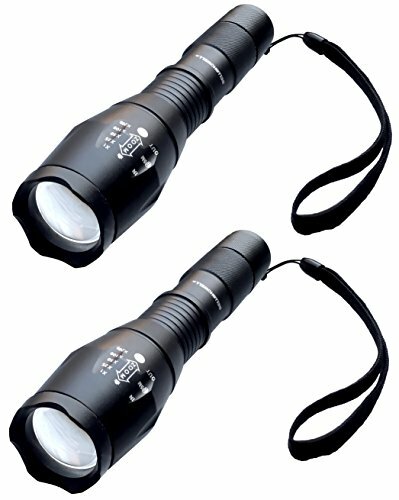 military grade zoom flashlight made of high-grade air craft aluminum can be seen up to 5 nautical miles away. 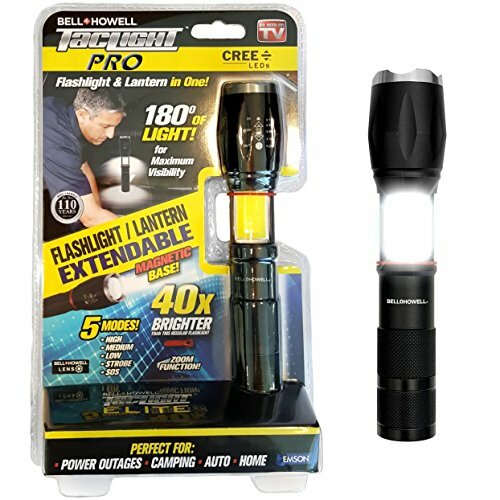 Compact & lightweight extending over 6 inch long with LED's that will last up to 100,000 hours! requires 3 x AAA batteries available everywhere. 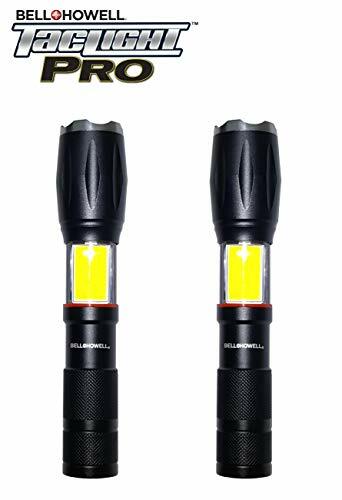 Torch Lite Deluxe by Bell and Howell About the Product The new Torchlite Deluxe is a versatile all-around portable light source - use it anywhere : camping, during travels, power shortages or blackouts or even during one of your regular outdoor dinners with your family or friends! • Magnetic Base anchors sturdily on any metallic surface • LED bulbs consumes very little energy, so battery changes are rare and far in between • LED bulbs are also brighter, more eco-friendly, and lasts 5 times longer than regular bulbs (100,000+ hours) • Weather-proof design means you can use while it's raining! • Built-in hook hangs just about from anywhere! • Lightweight, but very compact. • Portable design allows for easy storage! • Doesn't overheat, because its energy-efficient. 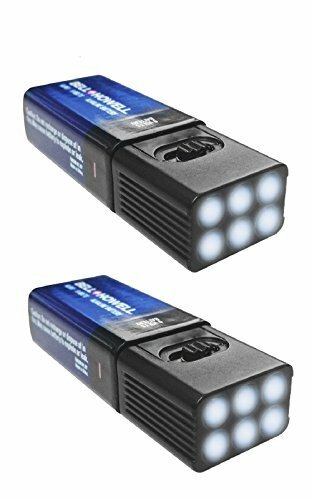 Bell + Howell Taclight Flashlight and Lantern Ultimate Camping Bundle – As Seen on TV!